If you want to convert more leads you need to more than just examining analytics and conversion funnels. Buyers are complicated individuals who use complicated psychology – whether they know it or not – to make decisions about what they do, or don’t, buy. Below, we examine the psychological process that buyers go through and provide buyer-friendly psychological strategies and tips to improve your lead conversions. Knowing Your Audience: What Kind of Buyers Are Out There? It is generally believed that there are three kinds of buyers: tightwads, spendthrifts, and the average buyer. Tightwads are unlikely to want to spend money unless they absolutely have to, and are the sort of people who are great savers. These customers may be the most difficult sale to convert, and comprise roughly a quarter of the market. They represent one extreme. The other extreme is spendthrifts – people who believe money is made for spending. 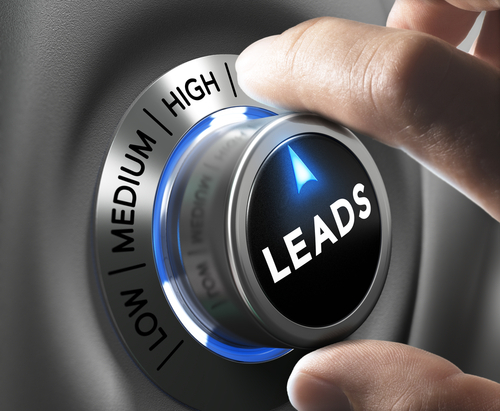 Little work has to be done to convert these leads into buyers, as they tend to be rather impulsive and feel good when they spend money. These buyers make up about a seventh of the market. Lastly, we have the in between buyers – buyers who meet a profile that fits about 60 percent of people. These are buyers who will conduct online research, weigh their options and make an investment if they believe it’s a good one to make. Conservative spenders are more likely to respond to messages that speak to their desire to save money rather than to be indulgent with themselves. Choose wording that focuses on savings rather than suggesting they spend lavishly. Unless you sell exclusively to a high-end market, you’ll want to focus primarily on the average spender, who comprises the majority of the buying market. Unlike the two previous categories which make up the extremes, the average spender has habits that rest somewhere in the middle – they’re likely to be cautious about their spending, but only to a degree. Free offers like free shipping, guarantees and warranties can give them the confidence they need to make a purchase from you. It is often said that content is king, and that can be true. It’s equally important to ensure that not only is your content meaningful, but the wording is well thought out. A wording change from “A $5 charge” to “A small, $5 charge” can surprisingly make a big difference among money-conscious buyers. Choosing words such as “because” can give your customers a reason why they should purchase your product or service. Here again, research suggests customers are more likely to do something if they are given a reason why. Using words like “effective,” “guaranteed,” and “real results,” help convince buyers that your product and service are safe to try and experience, making it worth their purchase. If you have several offerings at several different price points, think about getting them into your marketing funnel by enticing them with the free or low-cost offer first. Initial small requests can make big purchase requests much easier to convert at a later date. For example, in one 1966 study, participants in a study were asked to place a small sign in their window in support of safe driving. A few weeks later, they were asked to place a much larger sign in their front yard. More than three-quarters of those who agreed to the first request also agreed to the second, while less than a quarter of individuals who hadn’t been asked to participate in the first event complied with the second request. Asking for a small request first can make a difference if you want to ask for something more substantial later. Perhaps your audience doesn’t have time to do an hour-long demo with your company’s software, but might have time for a 15-minute consult call about something related to it. They’re more likely to agree to that small consult call, which may open the window for you to show them what your business has to offer. Learn how to improve your marketing and convert more leads with step-by-step video guidance buy signing up for the Duct Tape Marketing System Video Training.